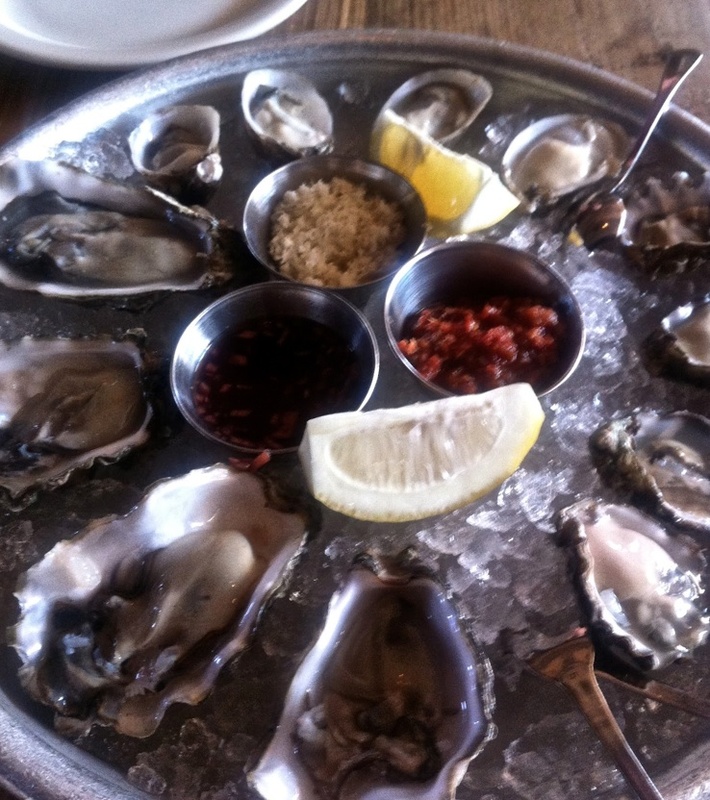 Oysters and a glass of the driest Champagne might very well be at the top of my last meal on earth request list. 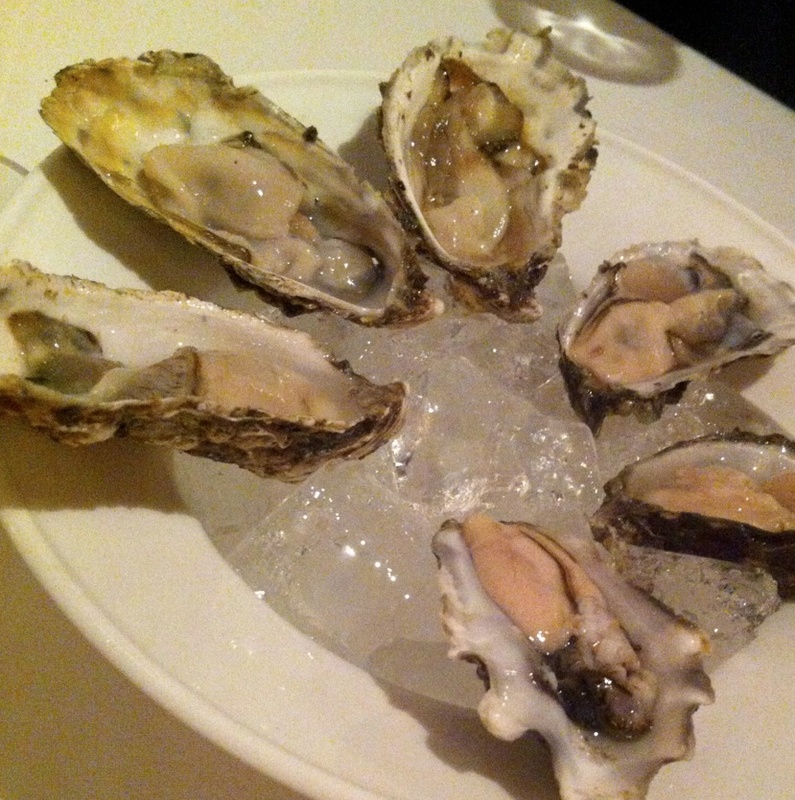 It’s the sort of meal that’s never the same twice, which ups its priceless ante because no matter how many times I slurp the same version of oyster, the bite is never duplicated. There are simply too many intricacies to an oyster to be uncovered between each shucked shell from texture to thickness to flavor to brine to character to cleanliness to dirtiness and a myriad of attributes in between. The complex gem of the sea is one thing that has never failed to keep my fickle taste buds dancing on the edge of curiosity and desire. 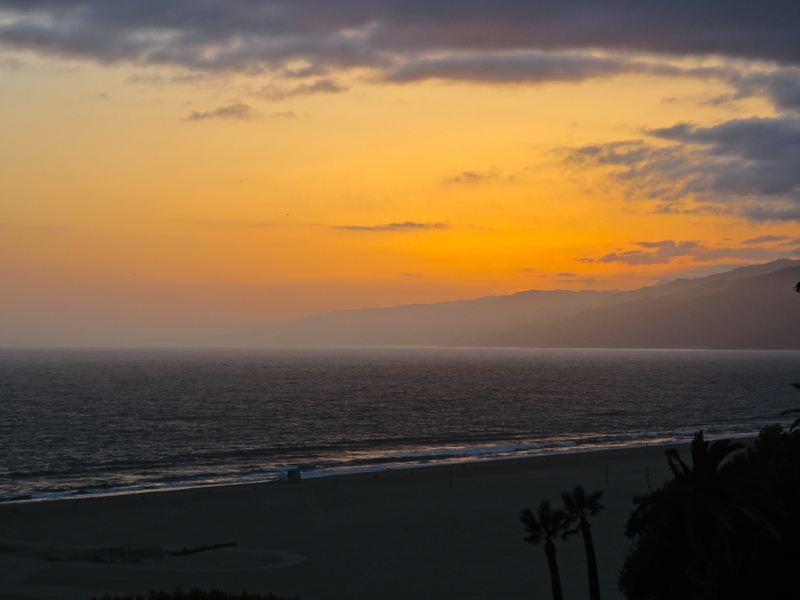 Living in Los Angeles along the shoreline of the Pacific leaves a lot of room to interpret a vast and bountiful oyster scene; of which I have only begun to scratch the surface with my own adventures. My initial forays over the last year have uncovered the following experiences thus far. What could be better than overlooking the ocean while actually eating an oyster so that the whiff of salty sea air accompanies the bright, watery mouthful? 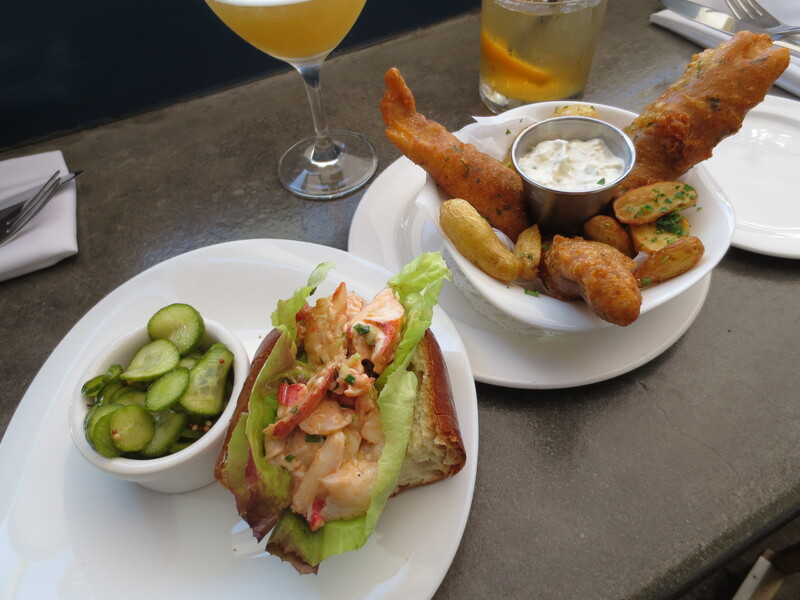 At The Lobster, located right smack above the Santa Monica Pier, you can go for happy hour and choose from the otherwise pricey menu to receive smaller portions of the fare for better prices. Although an indoor bar boasts clear sight of the ocean, it’s fun to sit outside along a wooden ledge overlooking the tourists taking pictures of the famous pier arch. We ordered a dozen Fanny Bays from the Pacific Northwest, which have proven to be my favorite variety of the year. Large and meaty, each bite starts with a fleshy swirl followed by an eventual surprise nugget of sweet meat. The restaurant’s horseradish is freshly ground from the root, plain and simple, and all that’s needed to accommodate each bite. They also serve the best version of lobster roll I’ve tried yet. Big meaty chunks float in a softly toasted bun although there was too much bread for my liking. Still looking for a West Coast joint that gets the elusive roll right. Fingerling potato “fries” were a nice touch to the otherwise ordinary fish and chips, stabbing to be too creative for their own good and a crab taquito of which the crab taste was non-existent. Their Lobster Margarita in a solid glass tumbler was a great accent. At L&E in Silverlake on a Saturday at five o’clock, we were the only ones in the small hipster bar. With a bartender who looks like Morrisey and a gaggle of young girl waitresses standing around sipping lattes from the café across the street, what at first appeared casual soon turned into a packed house of trendy locals. The rush didn’t deter us from ordering a dozen Pacific oysters that were better than what we are used to (specifically the ones from Hood Canal, WA) and needed no adornments for the slurping. Although these were the best of our seeking, the prices were simply outrageous and not worth the hours’ worth of children screaming at another table that we had to endure. 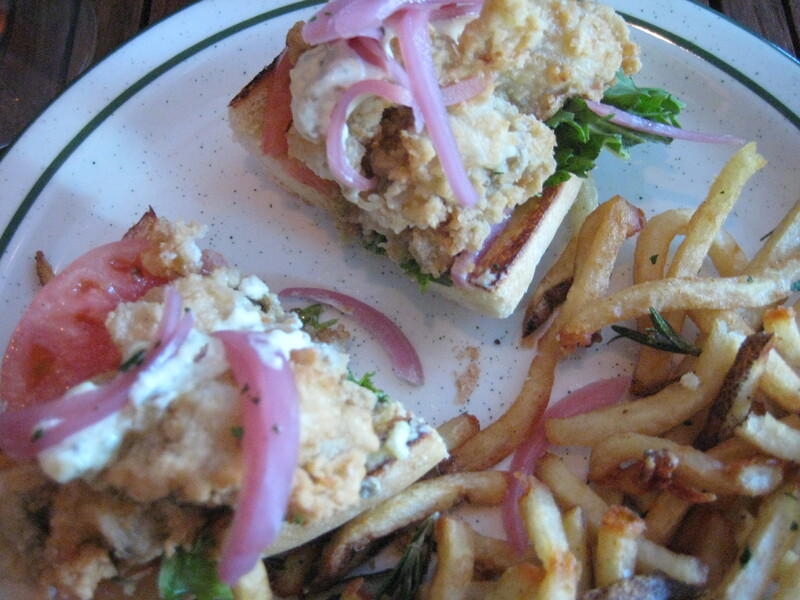 We even tried the oyster po boy which was smaller than expected and disappointed in its breading to oyster ratio in which the poor fruits were completely lost. 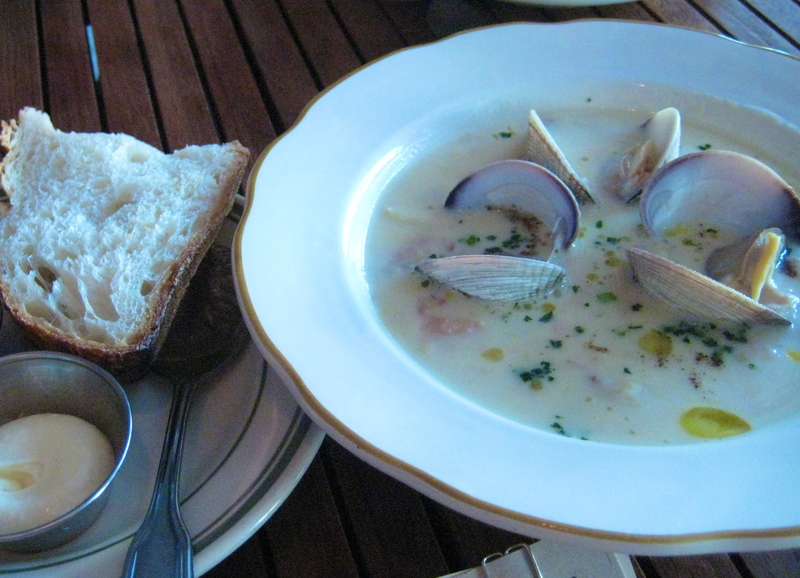 The one hit of the meal was the deconstructed clam chowder in which two types of clams were featured in a subtle broth. Because we are adventurous AND love oysters, we purchased an oyster knife and shucking glove over the past year so that we could eat oysters at home. 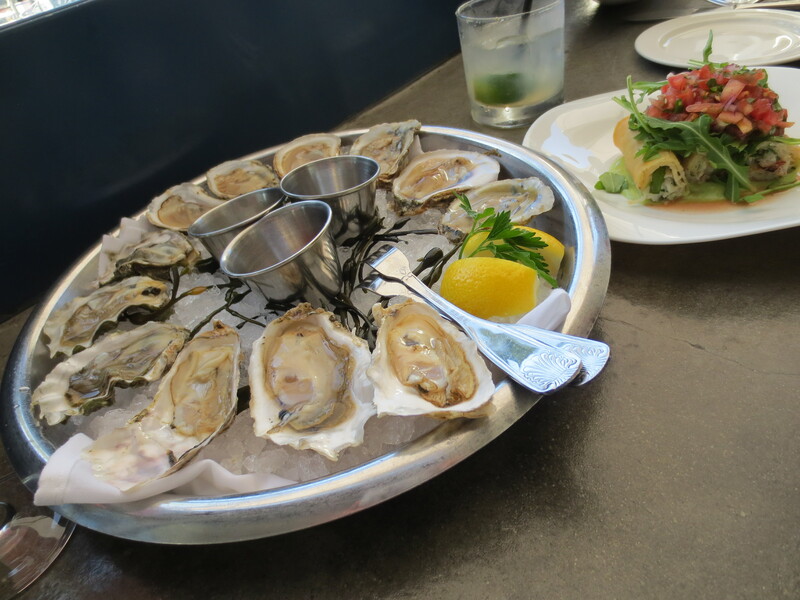 We found eureka at Santa Monica Seafood over the holidays with their fresh deli case teeming with fresh oysters. 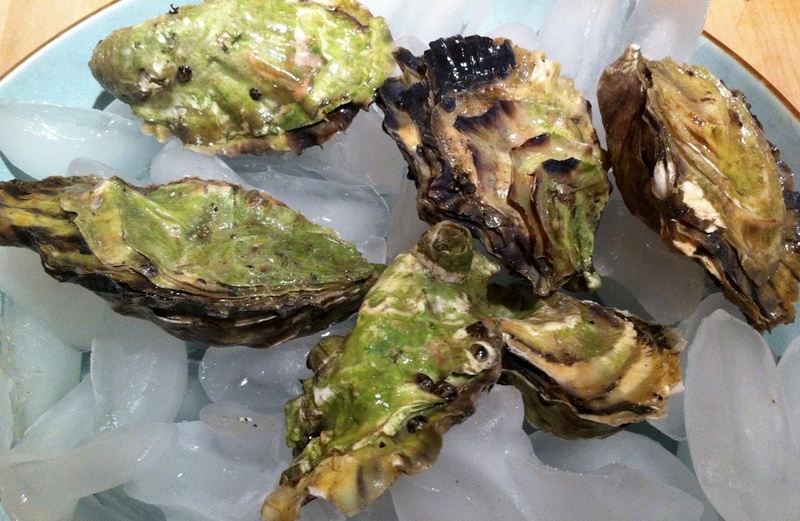 We fell in love with the Fanny Bays the first time we tried an oyster feast at home but the star of the evening were the eclectic Malpeques in the funky shells colored with gradients of green. There’s something about shucking over a bowl of ice from the freezer that allows forgiveness for the small bits of shell that slip into the mix. The Santa Monica Seafood mignonette is perfect for the DIY experience and even comes in handy later to spruce up other meals like roasted veggies in the oven. Or, as I like to have it, drunk straight out of the container like tangy vinegar. 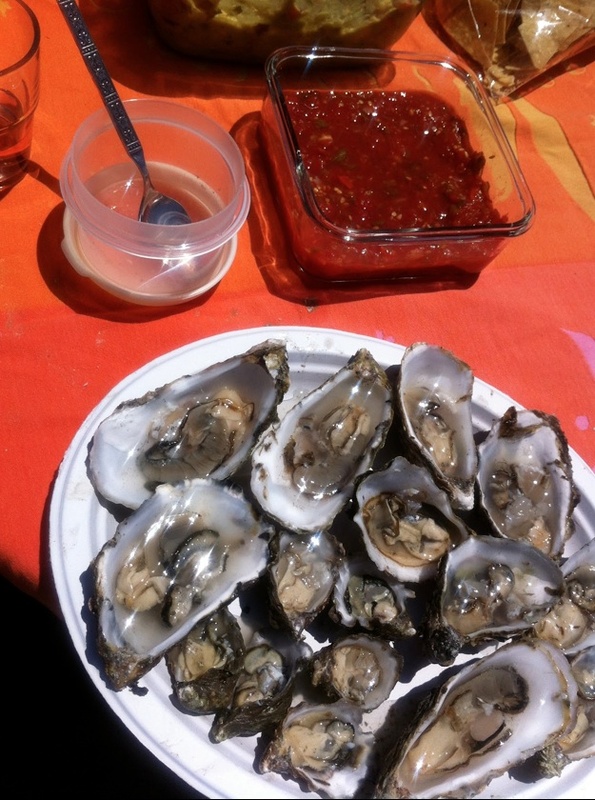 We tried to give the food truck craze (which we wholeheartedly avoid at all other costs) a hand by ordering oysters from the Jolly Oyster truck at a Ventura Beach picnic with friends. My advice to the oyster connoisseur is this: don’t. Don’t eat oysters bought from a truck because no matter what preparations you make, they don’t stay cold long enough to eat with relish. And they aren’t that good to begin with. If you are going to BBQ them to smithereens, that’s fine, but the DIY on the sand experience didn’t hit well with us. It’s become a natural trend for restaurants that are close to the ocean but don’t emphasize seafood to offer oysters on the menu as a starter course. My advice though, is to eschew your desires at these joints and strike out for the specialists. We’ve tried this route at Gjelina’s for a Sunday brunch amidst the overly loud bustle of the constantly busy place. But amongst a hive of activity such as that perfect oysters will never be a priority. And although they tasted fine, experientially you are left to feel like the servers just want you to hurry up and eat and leave so they can fill your table with the next pocketbook, hopefully owned by a celebrity. 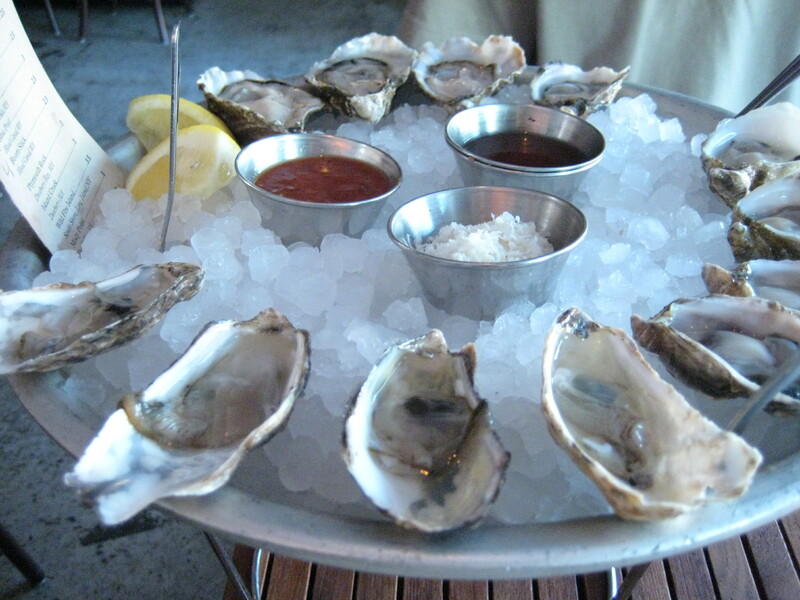 Another big trend of late in the area is the “one night only” oyster pop-up in well-known restaurants and gastropubs. We first encountered this phenomenon while dining at Larry’s by the Sea where we saw Christophe Phillon from Oyster Gourmet set up by the entrance hocking oysters at a couple dollars a pop. At a birthday luncheon with girlfriends, we enjoyed varieties from British Columbia and Washington. Then while dining at Joe’s, we encountered the pop-up again, set up along the bar, and enjoyed a dozen high quality versions as well. I prefer eating from this company because I know they specialize in what they do and that they are showcasing their best face forward when they show up as a star of a restaurant on any given evening. The only two things missing from our oyster hunt now is an elegant white tablecloth dinner with oysters or on the opposite end – a completely lowbrow and salty sailor joint. Will keep you posted! This entry was posted in Eating Out and tagged Joe's, Kimberly Nichols, L&E Oyster, Larry's by the Sea, oysters in Los Angeles, Santa Monica Seafood, The Lobster, Unorthodox Foodie by unorthodoxfoodie. Bookmark the permalink.